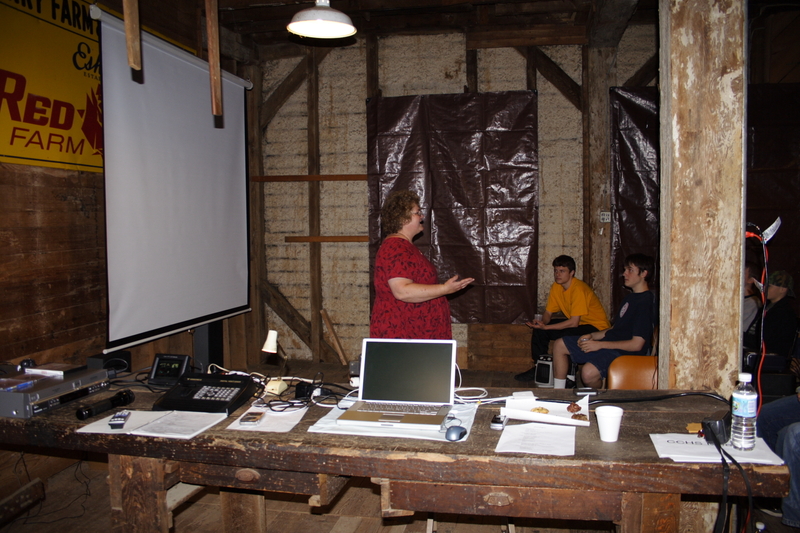 One of the early, 2006, uses of the second floor was to do a series of Movies at the Mill for the home school coop. Nancy has taught film making for years and this was especially fun. I remember screening Citizen Kane here. Note the old oak workbench that came with the Mill.